With the popularity of YouTube, Reddit, WebMD, and similar sites, we are definitely a culture obsessed with DIY (AKA “do it yourself”). While this is great for cooking or hobbies, it is not necessarily the answer for everything pertaining to a job focused on manufacturing production. Reason 1: Don’t assume the price tag to consult with a professional is going to be outlandish. 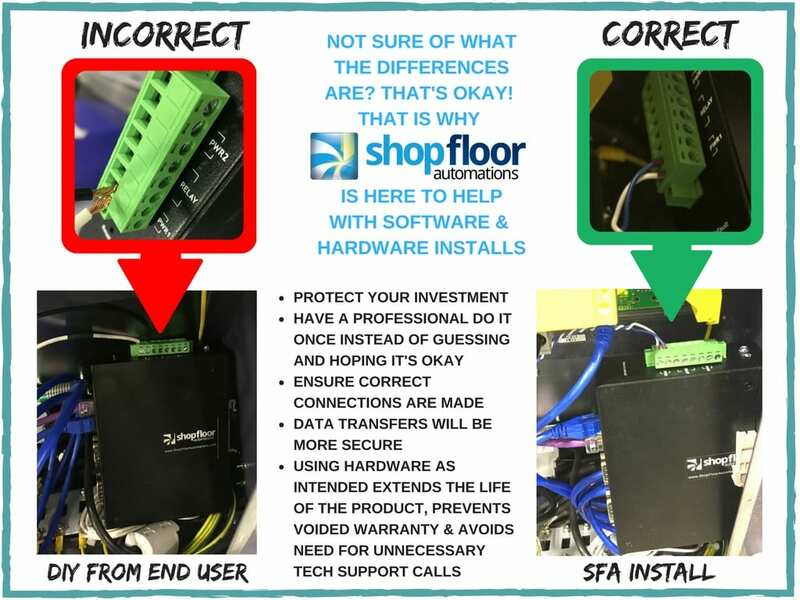 Take for instance the techs at SFA – you have the option of bringing them to your shop all over the USA, or getting a very affordable Support contract, where they can help you over the phone with a remote session. It’s sometimes as easy as them seeing a photo of the hardware that is having a problem, or having access to your screen where you are running into a software roadblock, and having it fixed within a half hour or less phone call. Some problems may take longer to fix, but wouldn’t it be nice to know it’s a problem that can be fixed without flying a technician out to you? Reason 2: Hardware needs to be handled and wired a certain way. Your run of the mill computer and related products, such as a commercial wireless internet router and even commercial USB connectors/cables, are an entirely different entity compared to manufacturing hardware implements. Hardware for powerful and expensive manufacturing machines need to be wired and placed a certain way to help with baud rates, and manufacturing shop floor cabling (as you can read in this previous piece) are durable yet complex. 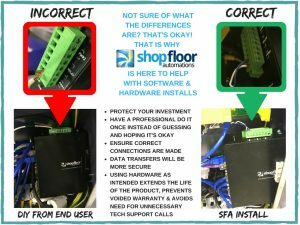 It is best to let a technician install it for you, or tell you how to install and wire it over the phone, so you can ensure data will transfer correctly, you don’t potentially void a warranty, and that you also protect your investment. Reason 3: Free up more time to get back to work, rather than struggling with something that is potentially foreign to you. You made a great decision in making an investment to increase productivity and OEE, and if you went with SFA, you have a group with years of experience behind you to help you in-person or over the phone. You’ve got a job to do, and so do we – and our job is to make yours easier. Why not take advantage of a Support team based in the USA that will actually pick up their phones or reply to emails? Want more reasons why to use our technicians? Give us a call today at (877) 611-5825. You can also fill out a contact form here, or chat with us on social media.